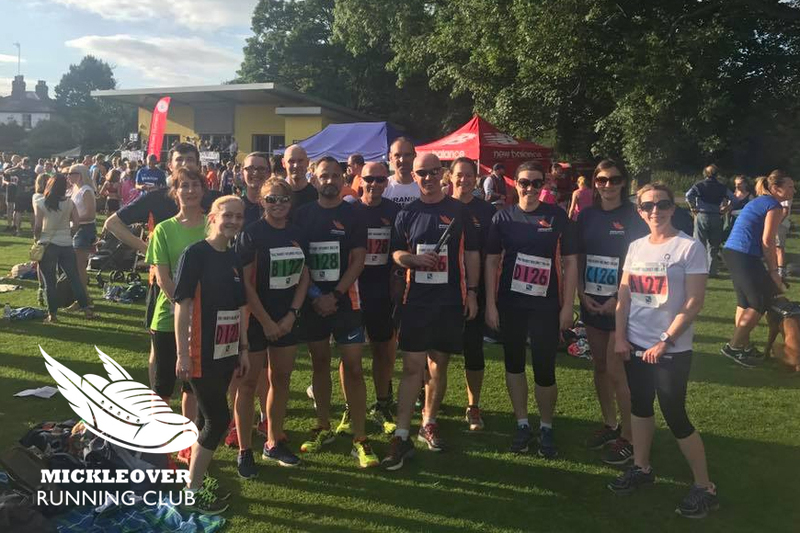 We setup Mickleover Running club in the Autumn of 2016 after noticing just how many people enjoy running around Mickleover and finding there wasn’t already a running club in the local area. We thought it would be great to have company on the long winter runs and meet some other runners, so set about creating a new Facebook page and producing some flyers. The club has now grown into a fully UKA affiliated club, with over 70 active members, several training sessions per week and club kit. We regular attend local park runs and running races, and have a core of very supportive and friendly runners, who make every effort to help make people feel involved and welcomed. We have runners from all backgrounds, from those setting out for their first 5k, to the experienced old dogs who love to test themselves with ultramarathons. Since running with Mickleover Running Club, my running times have got faster and I find it easier to keep motivated during the winter months. Our aim is for everyone to enjoy the runs whilst getting a good training session, running for about an hour. We often provide more specific training on Tuesdays such as speedwork, hill repetitions or cadence training, but these are optional with a jog/run at more gentle pace available. Our Run Leaders pride themselves on offering a friendly and gentle run for anyone who is new to running or returning after a break, although we always try to have a longer, faster run option both club nights each week. One thing we are very proud of is that we have never, and will never leave someone stranded on a club run. We have an enthusiastic committee with fortnightly emails from our Chairperson – Tracy updating all members of the club on race news, social events, Parkrun results and more. 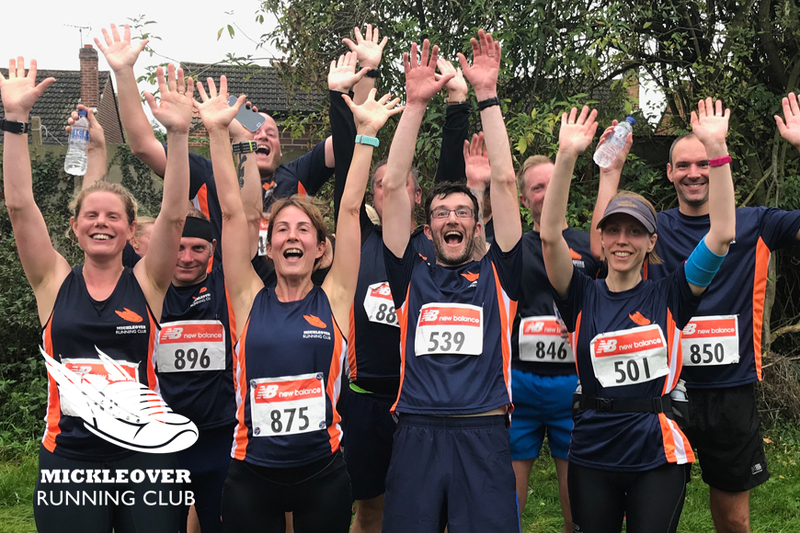 Our Kit Master – James Stevens has designed and produced our distinctive modern navy blue kit with orange and white detail on T-shirts, vests and Hoodies which you should start to see more and more at races and training events. On Facebook we have our public page which gives further information with lots of photos of recent events, specific training plans for club runs. We also provide a closed Facebook group for our members, which includes lots of opportunity to organise long runs at weekends, race entries, socialise and plan our summer pub runs.